The easy access to tourist attractions by public transportation or walking. Location isn't bad if you are prepared to stay in a very busy section of town. The apartment is centrally located. The apartment is well equipped, including of the dishwasher, owen, washing maschine and dryer. However, unless it is a bargain offer, I would not stay there, as it is very outdated. View is awesome location great. petty it lacks hygiene. It is so convenient to go anywhere. I like the Coles within 5 minutes walking distance. Darling Harbour Children playground also within 5-10 minutes walking distance. The Apartment itself is so comfortable. My kids love the big bathtub. The kitchen is fully equipped with oven, microwave and dishwasher. Great location close to everything, friendly staff. We had a renovated unit on 11th floor, which was clean and had everything that we needed. Brand new appliances, bathroom complete with laundry, fully equipped kitchen and large balcony. Rooftop pool was a bonus. Plenty of space. Great to have a washing machine, tumble drier and dishwasher. Balcony also was a bonus. Great location and the room had all the facilities we needed. Taxi and Uber pick up point out the front was very handy. Coles just down the road and open until late. 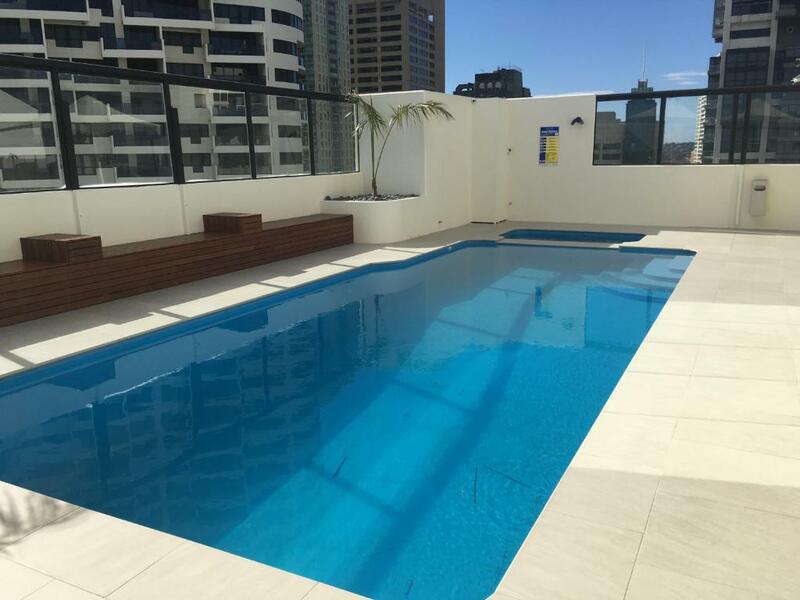 Waldorf Sydney Serviced Apartments This rating is a reflection of how the property compares to the industry standard when it comes to price, facilities and services available. It's based on a self-evaluation by the property. Use this rating to help choose your stay! One of our top picks in Sydney.Sydney Waldorf Apartments offers spacious accommodations with a fully equipped kitchen and private balcony. Town Hall Station is 1,300 feet away, providing easy access to all the city’s attractions. Waldorf Furnished Apartments is located in Sydney CBD (Central Business District), on the edge of Chinatown in the heart of the city’s entertainment district with theaters, cinemas, restaurants and shopping on the doorstep. 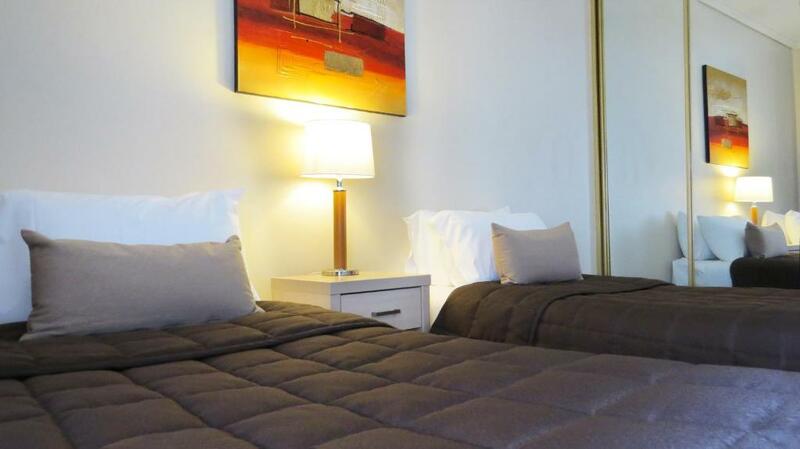 Each air-conditioned apartment includes queen-size beds, laundry facilities and a private bathroom with hairdryer. There is a refrigerator, microwave and tea/coffee making facilities in each kitchen. Guests enjoy 1GB of free WiFi per day. Onsite facilities include a roof top terrace with swimming pool, spa and sauna and secure undercover parking. 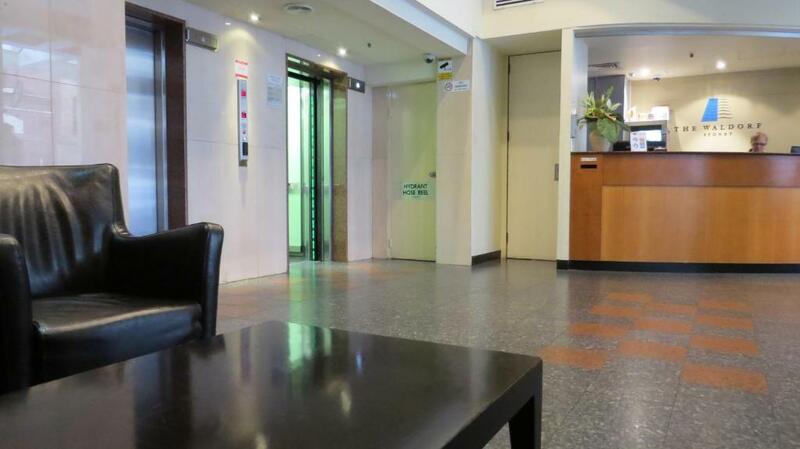 Waldorf Sydney Serviced Apartments are only a 5-minute walk from the International Convention Center Sydney (ICC Sydney) Darling Harbor and the Chinese Gardens. 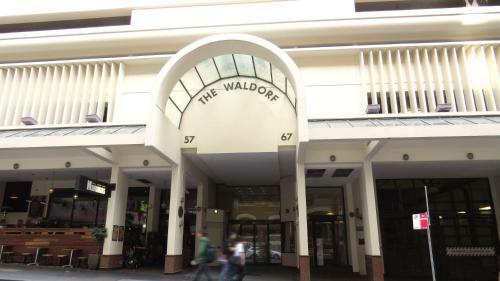 When would you like to stay at Waldorf Sydney Serviced Apartments? 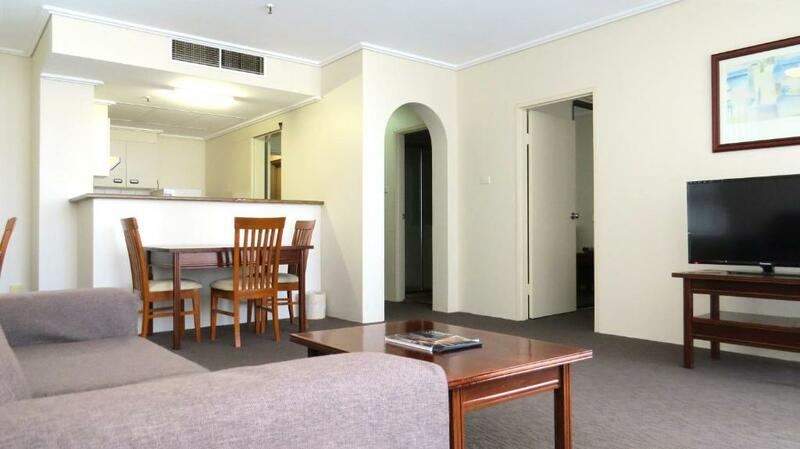 This air-conditioned apartment features full kitchen and laundry facilities. Please note that this room will not be serviced for the duration of your stay. This spacious apartment features a sofa bed in the living room, and full kitchen and laundry facilities. Please note that the rate is based on 4 guests. Maximum occupancy is 5 guests (see Hotel Policies). This room will not be serviced for the duration of your stay. 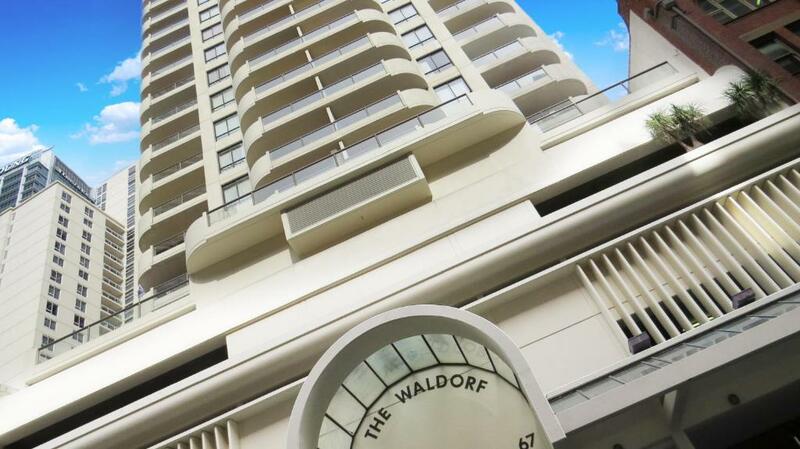 Our spacious apartments at Waldorf Sydney Serviced Apartments offer the discerning resident a choice of either one bedroom or two bedroom furnished apartments. 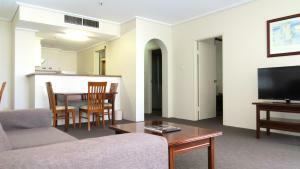 There is a separate lounge, fully equipped kitchen and laundry, large balcony with expansive views of Sydney CBD. House Rules Waldorf Sydney Serviced Apartments takes special requests – add in the next step! Waldorf Sydney Serviced Apartments accepts these cards and reserves the right to temporarily hold an amount prior to arrival. Please note that car parking is limited and is subject to availability. Guests planning to arrive by car are welcome to contact the property for more information using the contact details on the booking confirmation. Please note that a 1.4% surcharge applies for payments with credit card. Please note that free WiFi is limited to 1GB per day. 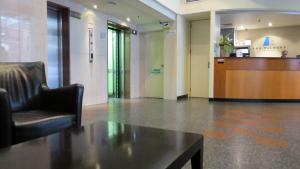 Please inform Waldorf Sydney Serviced Apartments of your expected arrival time in advance. You can use the Special Requests box when booking, or contact the property directly using the contact details in your confirmation. Spacious room with all amenities. 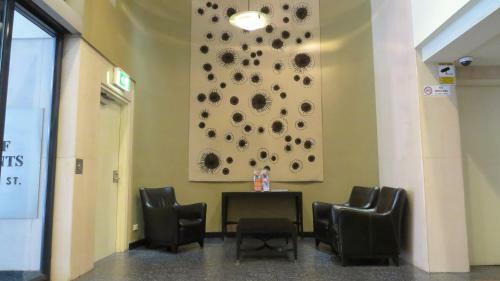 It felt a little bit dated and the reception area is in need of a spruce up. No helpful staff available. Mostly un- manned reception. Dim lighting in all rooms. Very basic. Old and tired. Needs renovating. Furniture very old, curtains very dirty and hanging off the rails. Stains on old carpets. Nasty smell in room for entire stay. Staff said they have had other complaints about the 'fusty' smells in the rooms. Very noisy, could hear doors banging all night (due to doors not fitting properly). Walls very thin and could hear other people's conversations. Comfortable bed and pillows! Nothing else! Everything in the apartment was showing its age. Stained carpets, broken drawers, ripped sheets, numerous other issues. The sofa bed was uncomfortable. In the garage there are no places for visitors, but in the Kennt Street is a big garage, so that was also no big problem. There are two Appartements in Australia that I can recomand, Oaks Casino Tower in Brisbane and Waldorf- Liverpool Street in Sydney. When I have booked Waldorf I have expected a real 3 stars hotel, but I was surprised with this property. Already the staff at the front desk explained us everything we just wanted to ask, without asking them. The Appartement was much bigger than I have expected and the balcony and the view were just super. The furniture is a little bit old fashioned but very clean and we had everything we needed. The location couldn´t be better. You can reach all the sights even the opera in maximum 20 minutes walk. A big shopping centre is just round the Corner. A lot of good restaurants and the China town with the Market place are next to the hotel. Simply super!